Welcome to Get Organized (GO) Month! Since I know many of you will be hard at work this month attempting to bring order to the chaos that lurks in your closets, pantries, cupboards, file cabinets, and drawers, I thought it would be a good time to talk about organizing products that you may find helpful as you tackle these areas. Today, I’m sharing a list of “Top 10” picks from my arsenal of most frequently used organizing tools and products. Adjustable shelving systems aren’t just for closets! 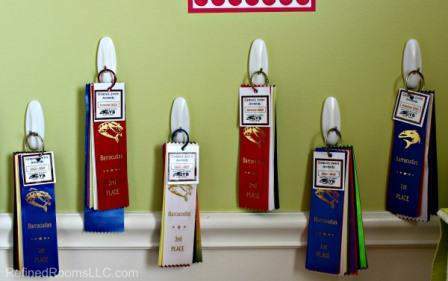 Use them in the laundry room, your home office, kid’s rooms and craft rooms. These systems enable you to maximize vertical space and create a fully customizable storage solution that can change over time as your needs change. My favorite? The Container Store’s Elfa line. I use hooks anywhere and everywhere throughout the home. Use them in the mudroom to hang coats and keys, or in bedrooms to hang belts and scarves, or jewelry. 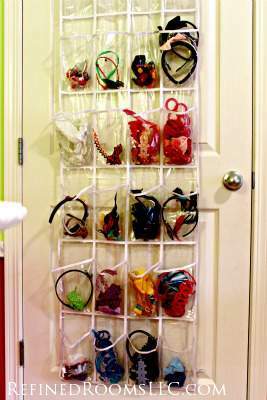 I especially love to use Command Hooks on the inside of doors (including cabinet doors) to add storage space when needed (and for swim ribbon organization!). If I could install glide-out shelving in every bathroom and kitchen cabinet across America, I would! 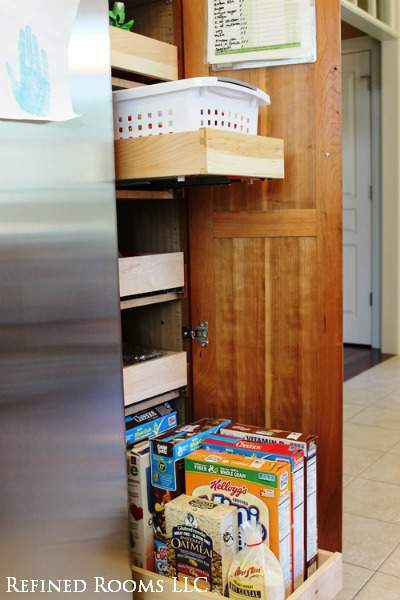 They make every inch of your lower cabinets and deep pantry shelves accessible. Check out my client’s pantry above. Can you imagine what is what like for her to access items in the back of the pantry before we installed these custom glide-outs? In addition to custom options, there are many DIY glide-out shelf options on the market as well. They’re a terrific investment when it’s time to organize your kitchen or bathroom. 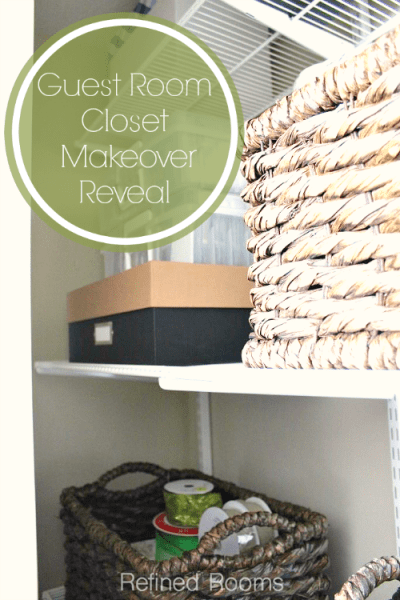 I use over-the-door shoe organizers for practically everything EXCEPT shoe storage! They’re great for storing lots of small items and for taking advantage of vertical space. Use them to store craft supplies, toiletries, office supplies, hair accessories, hats/gloves, etc. 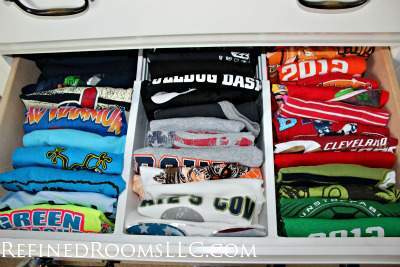 I recommend the clear organizers so that your small items are easily visible. The desk top file box/tickler file combo is one of the secrets to banishing those paper piles in your home. Place it in a central location in your home and use it to corral their “active” papers. Adjustable door rack systems magically increase your storage space by utilizing that often-forgotten area on the back of your doors. Not only have I installed these in client’s homes on the backs of doors, I’ve also used them on wall space in the basement stairway and in garages. My “go to” door rack system is the Container Store’s Elfa Door and Rack System. Short on closet space? Non-slip felt hangers keep clothes in place with an ultra-slim profile that uses less space than conventional hangers. I love the ones that come with hooks that enable you to cascade hangers for even greater clothing storage capacity. 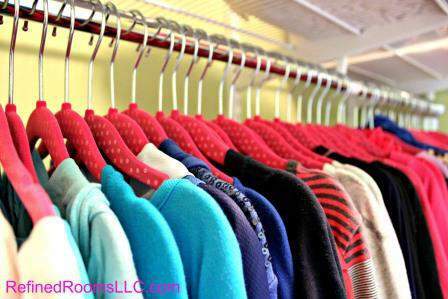 Using the same hanger throughout your closet gives it a polished, uniform look that’s pure organizational Eye Candy. Another great tool for banishing those pesky paper piles! 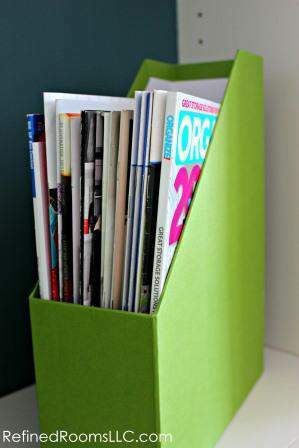 Use magazine files these to store magazines, catalogs, periodicals, manuals, etc. Face the spine outward in order to eliminate visual clutter. 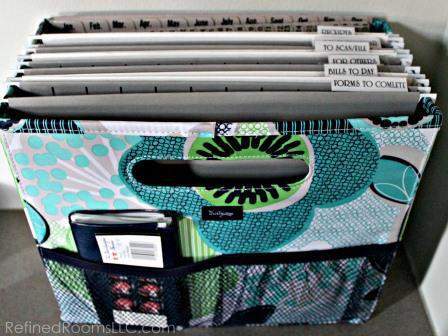 You can also use them to keep binders (like your Houshold Binder) stored upright on a shelf. 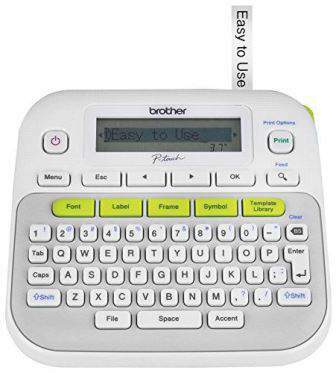 No list of essential organizing products would be complete without the Organizer’s Best Friend…the Label Maker! 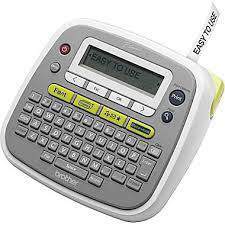 Labels make returning items to their homes (an essential step in maintaining an organized space) a no brainer. So there you have it! Can you think of a way to incorporate any of these organizing products into your next home organizing project? 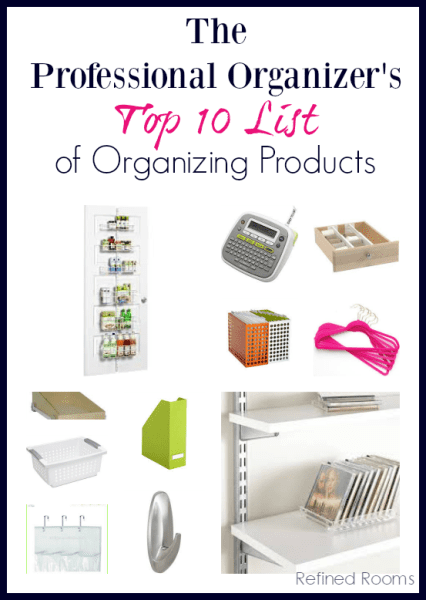 What additional products are on YOUR must-have list for staying organized? Great list, Natalie! My favorites are the over-the-door organizers, desktop/stadium files, and magazine files. I like to line up the magazine files along a shelf above my work area with each one having notes & resources for future speaking engagements. I can tell at a glance what I need to be working on! Thanks for sharing this on P.O.B.C.!! Always nice to see an Ohio neighbor!! Thanks so much Olive! I’m also obsessed with magazine files! Yes, you’re in Columbus, right?? I have quite a few of these in my home! No slide-out shelves, unfortunately, but they replaced some of my kitchen cabinets (I’m in a rental) with a bank of drawers, which is great for pots and pans! Great post! My favorite items are the Command hooks and pull out drawers. I love the pull out drawers so much that when I redesigned my kitchen, I took out the pull out drawers from my old kitchen and placed it into my new ones right when the kitchen was finished. =) Thanks for sharing. I’m with you Sabrina. I have them on the top shelf within my cupboards, but would also like to have them installed on the bottom shelves. Plan to do it when we redesign our kitchen soon! LOL Autumn! You have to stock up on organizing products when there’s a good deal, right? Thanks for stopping by!